Renewed interest in exploration of the Moon has the potential to benefit lunar science greatly and could evolve into a program facilitated by partnerships between commercial companies and NASA’s Science Mission Directorate (SMD), say companion reports by the National Academies of Sciences, Engineering, and Medicine. 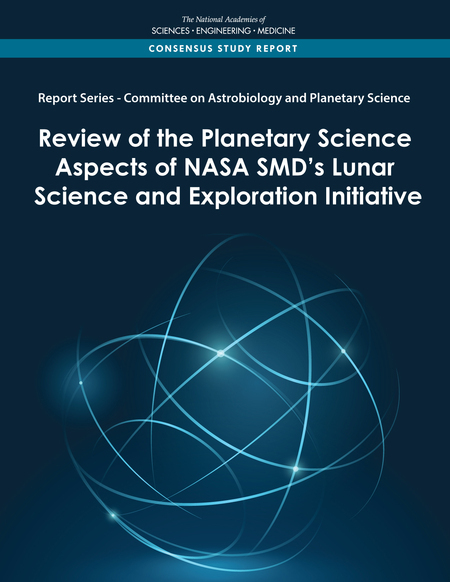 Review of the Planetary Science Aspects of NASA SMD’s Lunar Science and Exploration Initiative and Review of the Commercial Aspects of NASA SMD’s Lunar Science and Exploration Initiative laud the rapid and effective steps the agency’s science directorate has taken in responding to a 2017 presidential directive to lead an innovative and sustainable program of exploration with commercial and international partners, beginning with a near-term focus on the Moon. However, the two reports find that the activities undertaken to date, although aligned with community consensus for lunar science priorities, do not replace missions recommended in the National Academies’ most recent planetary science decadal survey and remain subject to many unknowns, such as the ability of standardized commercial lunar landers to interface with complex science payloads. In addition to the reinvigoration of support for lunar science, SMD’s program promotes new, innovative partnerships with industry to assist in accomplishing science on the Moon. Through the Commercial Lunar Payload Services Program (CLPS), commercially provided lunar landers, rovers, and even future on-orbit services are or will be solicited. 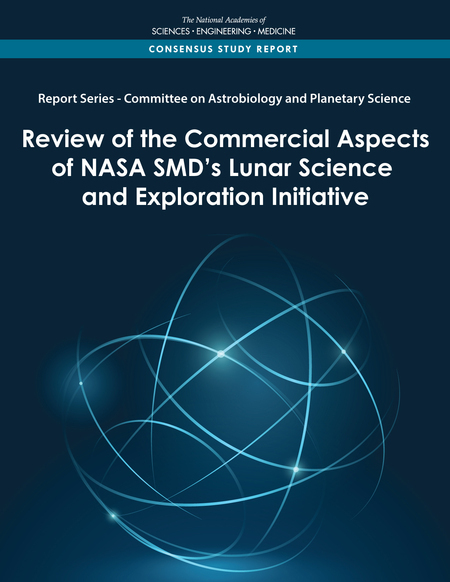 The commercial review report finds that there are multiple scientifically valuable measurements, such as lunar interior measurements and in situ age dating that could be made from the planned first generation of commercial lunar landers. If made, these measurements would assist in addressing key lunar science objectives, while the implementation of commercial landers has the potential to lead to an economy of scale that could allow efficient exploration of diverse, scientifically significant areas of the Moon. The commercial review report raises several unresolved challenges that are important to making such scientific measurements, however, such as the ability of commercial partners to support the unique requirements of complex scientific instruments. NASA has selected the first group of commercial service providers and is in the process of soliciting science instrumentation to be delivered to the lunar surface. Without clearly defined interfaces, proposed instruments may not be compatible with landers, which could lead to delays, cost growth, or diminished scientific return. Prior examples from within the agency have shown that clear communication between industry and NASA — for instance, on topics concerning compatibility — is necessary to make such partnerships effective. Looking to the development of a future lunar infrastructure comprising a mix of government and commercial orbital and landed assets, the report points to SMD’s Mars exploration program as an example of a program architecture that achieves asset compatibility through a systems engineering approach. The report concludes that, despite these concerns, the initial steps taken in establishing CLPS allow for a preliminary assessment by NASA of the science potential of these new public-private partnerships and permit NASA and industry to determine how best to move forward. The studies — issued by the Committee on Astrobiology and Planetary Sciences — were sponsored by NASA.